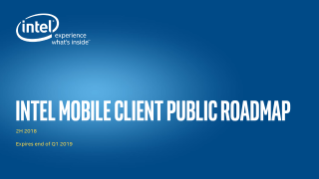 The public Intel Mobile Roadmap covers laptop, tablet, and mobile processors and chipsets for both businesses and consumers. See how Intel® Mesh Architecture adds new pathways to eliminate bottlenecks and improve efficiency. Learn about the new features and technologies in the 7th Generation Intel® Core™ processors. Intel® HD Graphics and Iris™ graphics require no extra card and are ideal for gaming and video.